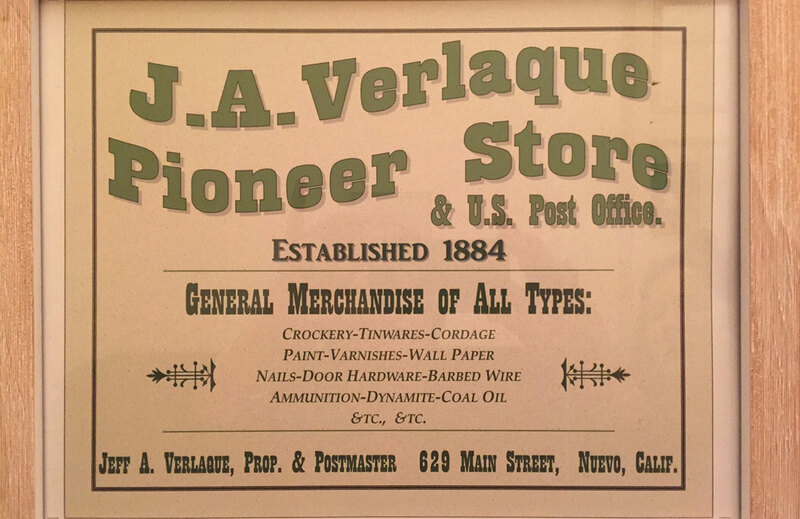 The Verlaque Store Mural is dedicated to the first business establishment in Ramona built in 1883 and run by Amos Verlaque and later by his brother Jeff. It was a stage stop, general store, and post office and offered a place for local folks to hang out, chat, buy goods, and receive mail. 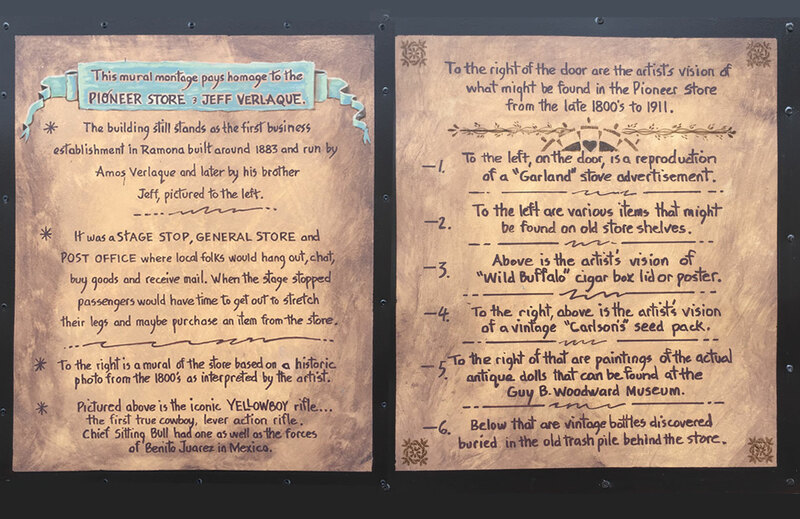 The artist, Rik Erickson, painted what might be found in the Pioneer Store from the late 1800’s to 1911. 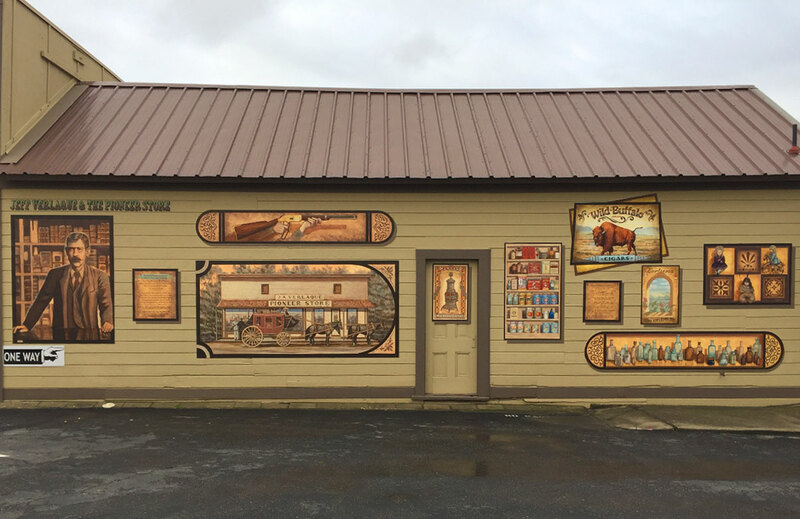 Erickson is a licensed, professional mural artist and painter who has been painting custom, high quality wall murals for clients for more than 25 years. His murals can be seen in restaurants, businesses, hospitals, Marine and Coast Guard walls…as well as many private residences throughout San Diego. Look for the H.E.A.R.T. icons in this mural (there are 7)!